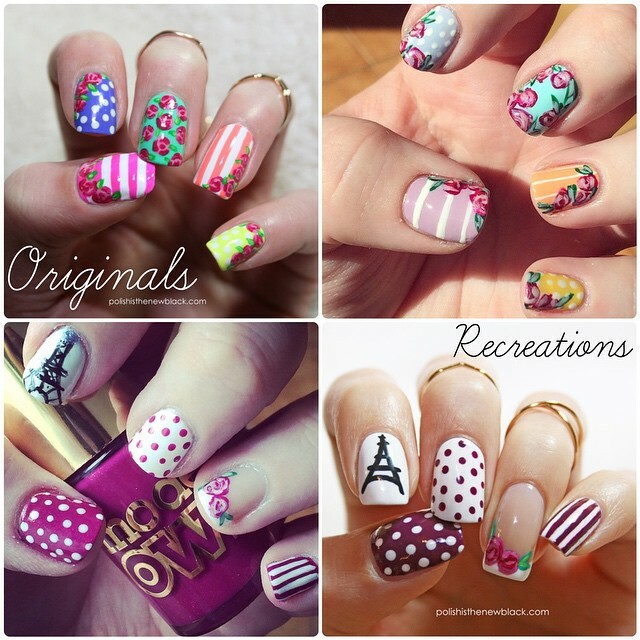 So today I have some more nail art for you in the form of a mani swap. This time with the lovely Cambirthday on Instagram. She chose to recreate my bright floral mix and match design, while I chose to recreate her Parisian design. Anyway... Onto the new design. I used all +OPI Products Alpine Snow, Get Cherried Away and Bubble Bath along with my Oumaxi acrylic paints for the details. 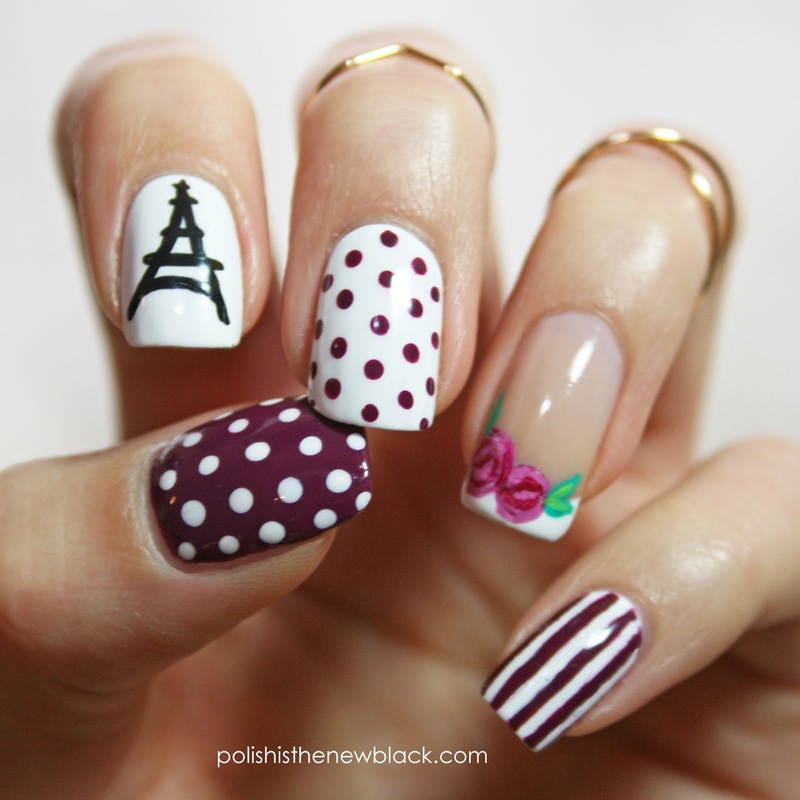 The Eiffel tower and flowers were painted freehand with my Stylishnailartshop Pure Color 9 brush and I used +NailVinyls™ for the stripes. I used a dotting tool for the polka dots and painted the french tip free hand. Clean up using my Jolie Polish brush and all topped with +☆ DREAM POLISH ☆ Gem Glam top coat. I hope you liked these!